It is not easy to determine a meal-time insulin dose! Freedom to eat is at once a right and a proper reward of patients with well controlled type 1 diabetes. However, blood glucose level depends upon the ability to identify the insulin dose required to metabolize a meal. By calibrating a patient’s I:C ratio, the Insulin&Food app displays the required insulin amount in relation to a specific food. Available on Apple Store and Google Play! Insulin&Food is the only app that associates to each food, and different serving sizes thereof, the insulin amount needed for its metabolization. This value originates both by calculating the I:C ratio and leveraging the diabetic patients’ experience concerning a specific food. Bolus insulin dosing varies from patient to patient. It can be drawn from the I:C ratio generally determined by dieticians and diabetologists, or inferred by each diabetic patient on the basis of his/her own experience with given foods. It is very challenging to accurately know a meal’s correct carbohydrate counting necessary for an accurate insulin dosing! By relying upon a photographic archive, Insulin&Food assists diabetic patients in recognizing and quantifying the carbohydrate intake of each food. By looking at a piece of bread, an expert diabetic patient can already “sees” the insulin units required for metabolization, without any need to estimate the bread’s weight or carbohydrate count. 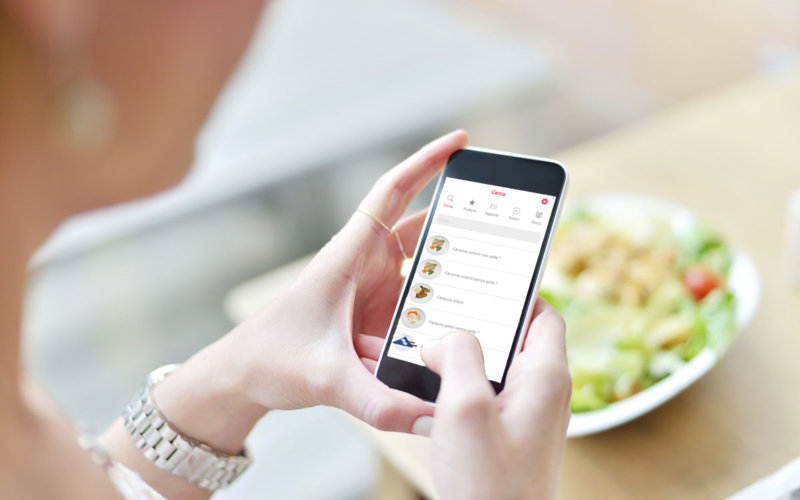 Thanks to this application, the I:C ratio provided by physicians can be personalized for different time frames of the day and linked to hundreds of food pictures, from the simplest (fresh fruit) to the most complex (first and second courses, and pizza), indicating the personalized insulin dose for each. This is Insulin&Food’s philosophy: associate to each food, and different sizes thereof, the quantity of insulin that may be gathered both from calculating the I:C ratio (a mathematical methodology acceptable for all foods), and the diabetic patient’s own experience with specific foods. Indeed, if the I:C ratio does not always produce the desired result, the patient, by relying upon his/her experience, can associate directly insulin units required for that specific food. With Insulin&Food, it is also possible to take pictures and add foods that are not in the database or that are prepared in a manner different than what is suggested, calculating the insulin required for their metabolization based upon the patient’s own experience. The diabetic patient will therefore be able to create his/her personalized database containing information on the food/insulin ratio of most frequent foods. Insulin&Food is especially useful for both pre-prandial and during-meal dosing. A valuable support, the app is also an excellent easy-to-use educational system for all ages.